Body Armor is our line of vehicle specific paint protection kits – Invisible protection that prevents rock chips and bug damage. 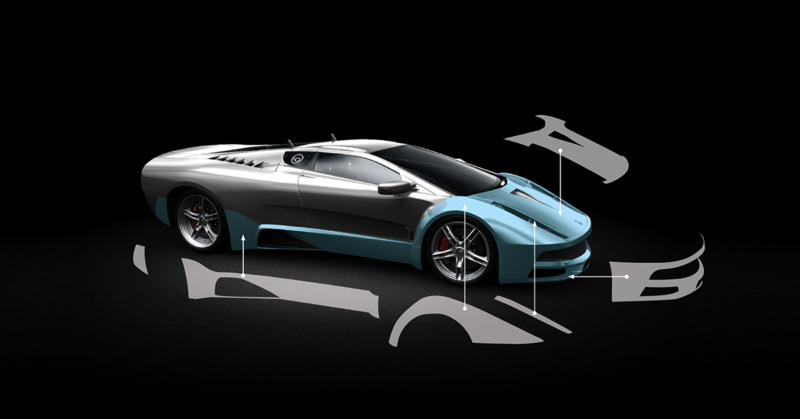 We have thousands of patterns for almost any vehicle you can imagine, from Hyundai to Lamborghini, we have you covered. All of our kits are offered in Xpel Extreme film and utilize Xpel's industry-leading patterns. Body Armor protects your investment! Protects like a nicely fitted suit of armor! 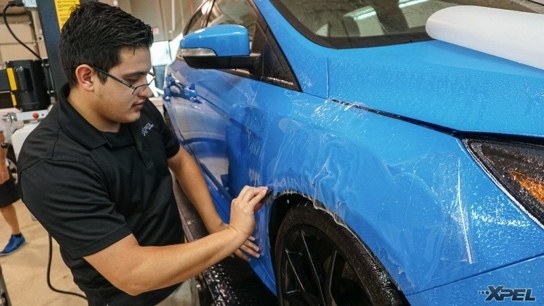 Body Armor paint protection film is a clear protective vinyl designed to protect the leading edges of vehicles from rocks, chips, and bug damage. Body Armor kits are vehicle specific and computer cut to exact specifications for each make and model with a guaranteed fit. Applications for almost any vehicle on the road! Body Armor has applications for thousands and thousands of vehicles including recreational vehicles and motorcycles. If we don't have what you need, we will go to work getting it made. In fact, Body Armor goes to work designing patterns for new vehicles as soon as they hit the dealership lots. All Body Armor kits are produced in Xpel Ultimate film. The pro's choice film features multi-layered, Urethane-coated vinyl. This provides great protection with a visibly clear installation, and no yellowing. All Body Armor kits feature a difficulty rating; 1, being the easiest, 5, the hardest. This rating can be seen on our Pattern Selector page. Kits with a level 1 difficulty rating can be installed by experienced graphic installers who have no previous PPF experience. However, level 5 kits should be reserved for those with advanced PPF experience and knowledge. The other levels fall appropriately in between. Some kits are purposely cut smaller to allow for proper fit. The installation process requires stretching the film to fit in body contours, or to allow room to pull out excess material along the edges. All Body Armor Paint Protection Kits are warranted against defects in manufacturing for the lifetime of the product. Warranties are for product only and limited to the value of the replacement item. Neither seller nor manufacturer shall be liable for any damage, expense, or consequential damage arising out of use or the inability to use the product. Body Armor kits are shipped within one business day of ordering. Most are shipped the same day you place the order. All Body Armor kits are cut to exact specifications and guaranteed to fit. If you ever receive a kit that doesn't fit, we will make it right.